The 2018 Farm Bill has changed history. Immediately after the passing of this exciting bill came a serious statement from the FDA and their jurisdiction over the safety of the American people and CBD products. What exactly did the FDA have to say about CBD? In a landmark move, hemp was officially made legal by the recent passing of the 2018 Farm Bill, ending almost a century of unnecessary prohibition. The final copy of the Farm Bill was even signed with a pen made out of hemp. Times are certainly changing. 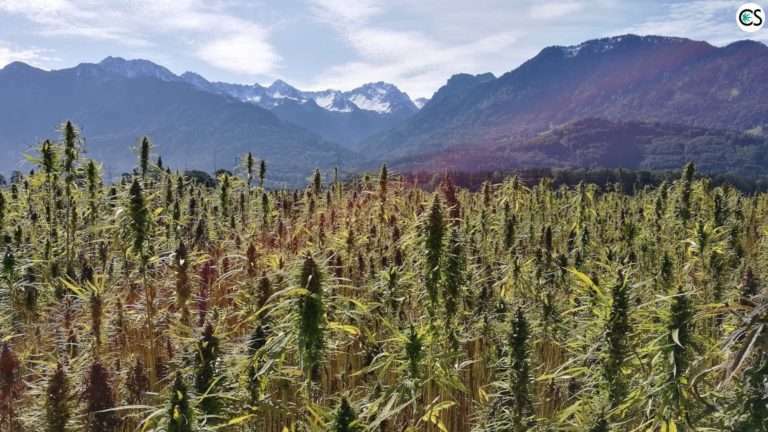 In a December 2018 press announcement from FDA Commissioner Scott Gottlieb, M.D., it was noted that the changes to the 2018 Farm Bill would remove hemp from the Controlled Substances Act…which means it’ll no longer be an illegal substance under federal law. What exactly does this all mean for CBD, though? We’re aware of the growing public interest in cannabis and cannabis-derived products, including cannabidiol (CBD). This increasing public interest in these products makes it even more important with the passage of this law for the FDA to clarify its regulatory authority over these products. In short, we treat products containing cannabis or cannabis-derived compounds as we do any other FDA-regulated products — meaning they’re subject to the same authorities and requirements as FDA-regulated products containing any other substance. This is true regardless of the source of the substance, including whether the substance is derived from a plant that is classified as hemp under the Agriculture Improvement Act. What this really means is more regulation of CBD products. Because CBD wasn’t recognized whatsoever by the FDA before the passing of the 2018 Farm Bill, the CBD market until now has been highly unregulated. Without regulation, basically, anyone is able to sell a CBD oil they claimed to be legit. And while many companies out there are offering high-quality CBD oil, there are still those that are selling anything but. This, my friends, is poised to change. With more regulation of products by the FDA, CBD products will be safer and companies will be held accountable to sell exactly what they say they’re selling. CBDMEDIC is one brand working hard to comply with new laws. CBDMEDIC™ products are FDA-registered OTC topical medications produced in a cGMP FDA registered and audited facility to ensure the highest quality control standards. There are big changes on the horizon, something CBDMEDIC understands quite well. All CBDMEDIC products are produced in conformance with Food and Drug Administration requirements and registered as OTC non-prescription topical analgesics. In addition, the CBD derived from industrial hemp used in all CBDMEDIC products is 100% federally legal, because it complies with applicable federal laws. Menthol and camphor are the active pain-relief ingredients in our products, and no medical claims are attributed to the CBD/hemp extract. Our attorney in these matters is a former associate chief counsel at the FDA, so the guidance we receive is grounded in FDA regulations. Our products are as legally safe to market as any other FDA-compliant topical pain relief product already sold on retailers’ shelves. Further, all CBDMEDIC products are made with THC-free hemp extract, so there is no concern regarding any effects from or testing of THC. CBDMEDIC is different from other companies on the market. CBDMEDIC is registered with the FDA. What does this mean, exactly? For one, they can make legitimate claims about the pain relieving properties contained in their line of products. CBD derived from hemp plants grown in conformance with USDA requirements (meaning no more than 0.3% THC). CBD produced in facilities with audited quality systems to ensure consistent product quality with each and every batch. 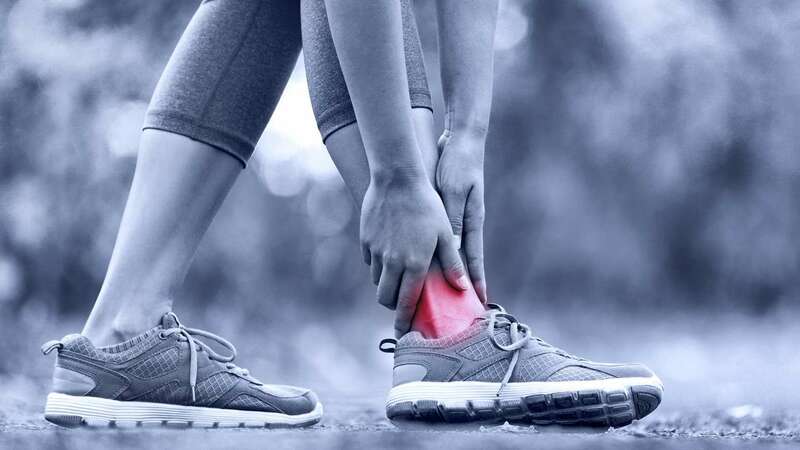 When the product makes medical claims, such as “muscle and joint pain relief,” it has to be registered with the FDA in order to be sold legally. CBDMEDIC has nailed each and every one of these points. They’re not basing the muscle and joint pain relief from CBD, but rather from the menthol and camphor contained in their products, which are recognized by the FDA for having medical value. CBD is simply another ingredient, and because CBD is not yet recognized by the FDA to hold medical value (except for the case of FDA-approved CBD drug Epidiolex), CBDMEDIC has made zero claims attributed to hemp/CBD extract. CBDMEDIC is one of the first companies to offer topical Medications which have been registered with the FDA…simply because it’s one that doesn’t make any health claims about CBD itself, but rather other ingredients in their product that are recognized by the FDA. 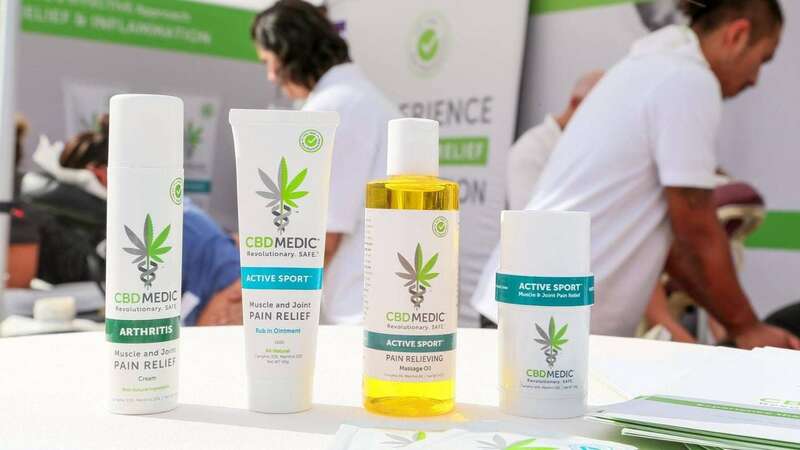 So, whether you’re a runner, someone who enjoys yoga, crushes it at CrossFit, or are into extreme sports like snowboarding and dirt biking, CBDMEDIC has a pain-relieving ointment designed with your active lifestyle in mind. For those who aren’t exercising regularly but suffer from the often-debilitating pain associated with arthritis, there’s also a cream made just for you. 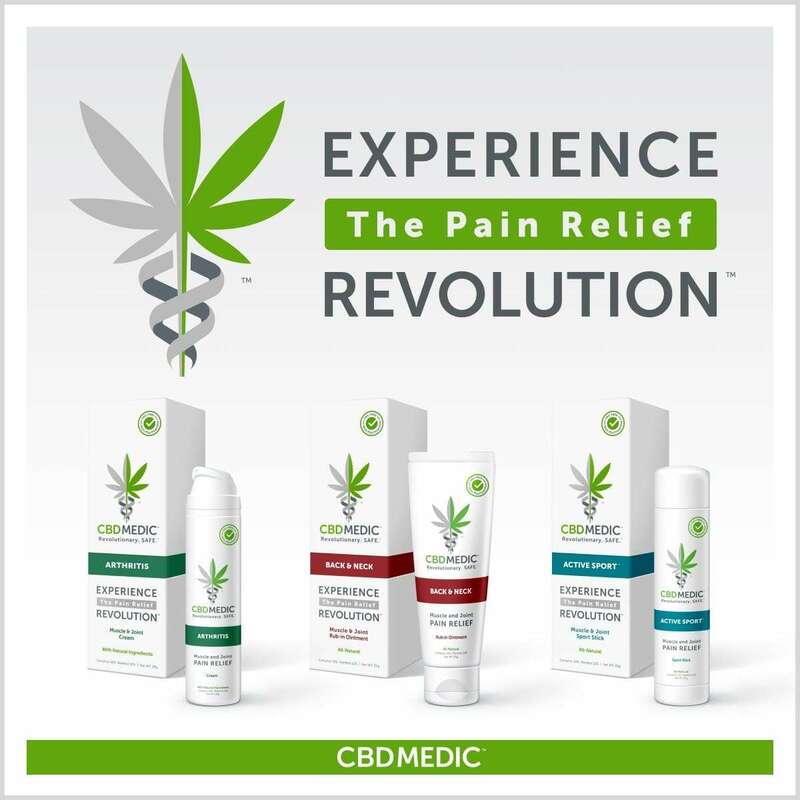 And for people with back and neck pain from spending hours upon hours in front of your computer screen (which we can totally relate to), CBDMEDIC offers their Deep Relief, Intense Pain Ointment. Basically, they’ve got a bit of something for everyone. We’re poised to see some very big changes on the CBD front with the passing of the 2018 Farm Bill. More regulation and total transparency of existing and emerging companies will ensure we’re all getting exactly what a product claims to be, which hasn’t exactly been the case up until now. We’ll be sure to keep you posted on exactly what changes transpire in this very exciting time in hemp history.